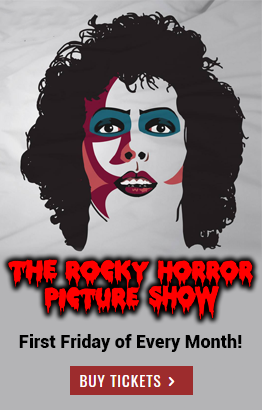 Come see the Terrace Theater's monthly screening of THE ROCKY HORROR PICTURE SHOW! Featuring a live shadow cast performance with Charleston's Absent Friends! Sorry, no passes allowed for this event. THIS IS AN ADULT-ORIENTED EVENT. NOT RECOMMENDED FOR ANYONE UNDER THE AGE OF 18.